Loflin Yard: Located at the very endcap of the south main district, Loflin Yard is a great concept for hangout, drinks, spontaneous big groups and a good time. Its got two separate bars, a kitchen, a live sound stage and plenty of indoor and outdoor seating to hang with your friends. Fire pits, picnic tables, large format jenga, rings games, corn hole, etc–there are plenty of hangout activities to play while unwinding after the day. We had a good time. Its also the only “bar scene” in Memphis that I know about that had small children running around, which gave it a cool family friendly atmosphere earlier in the evening. We didnt eat, but they also have a pretty gourmet kitchen which appears to do high end small plates that look pretty good. All in all, we had a delightful time at Loflin Yard, and would recommend it to anyone as a gathering place to hangout for drinks. 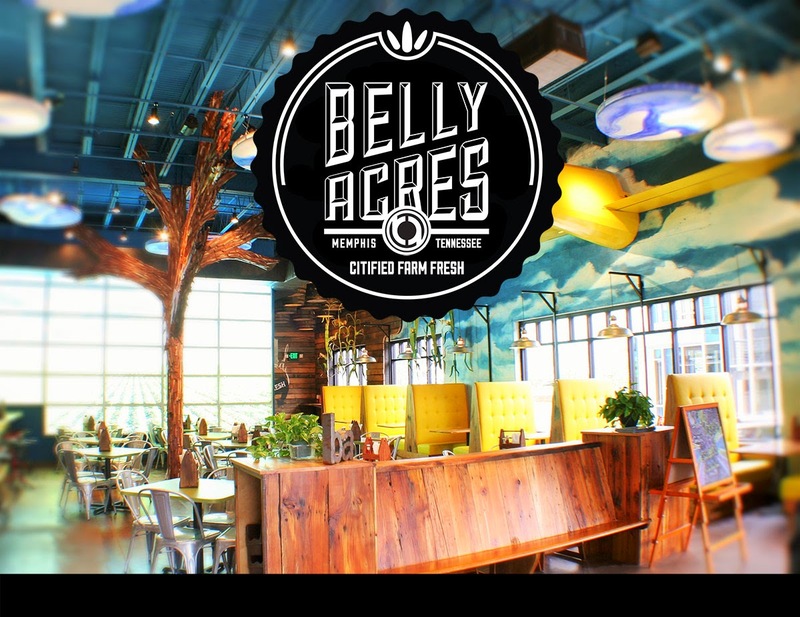 Belly Acres – located in the newly revived Overton Square, this place is awesome. Its right across the street from the new parking structure on the Square which gives it easy access for families with Littles. My daughter loved the farm decor complete with vintage tractor, trees, barrels, and a barn-storming biplane caught in the wall. The first thing my 2 year old noticed on the way in was the airplane. The experience took off from there. Belly Acres prides itself on being certified farm to table, so its ingredients are very fresh and the quality is excellent. 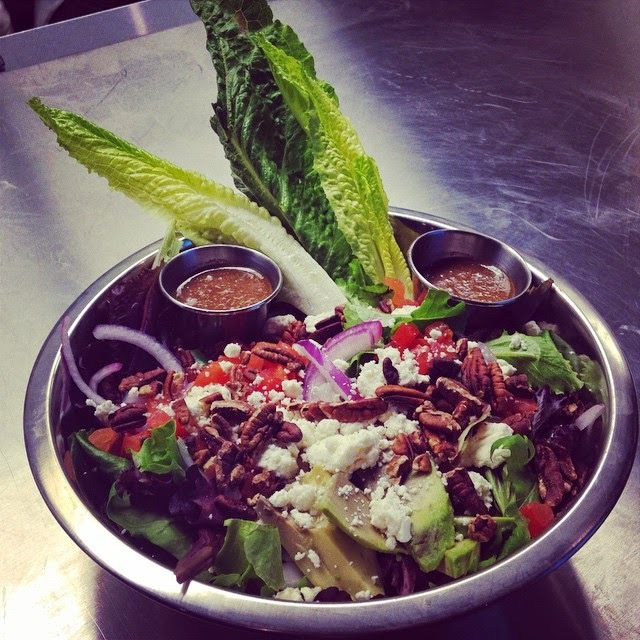 Its a modified, fast-casual setup where you are seated by a host, but you order at the counter. 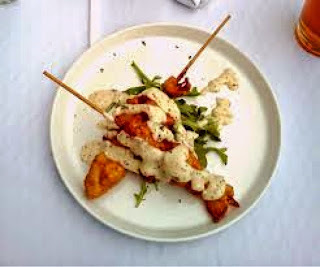 This gives you time to look over the menu and not get hassled by the waiters, but you can settle into the table with your family and get comfy. Once the whole crew figures out what you want, you roll up to the counter and place your order. 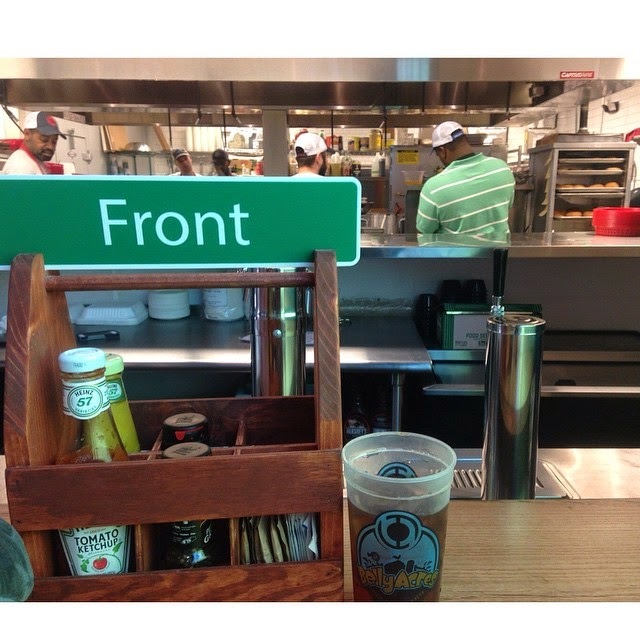 Instead of a number for your order, they give you a small street sign with a local Memphis street to put in the caddy on your table. Nice touch guys. 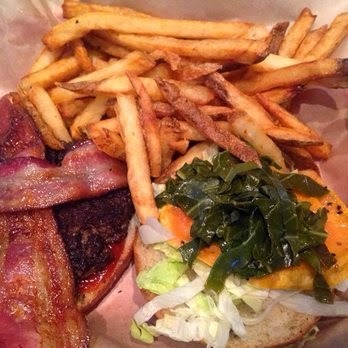 I ordered the Southern Gentleman burger (but of course) with the Acre salad for the Wife and chicken fingers and sweet potato fries for Little Bit. It was awesome. I’ll be the first to admit that it never crossed my mind to put a sweet potato, pickled greens and maple ketchup on a burger, but it totally works. The burger and fries were excellent. Little Bit’s sweet potato fries were seasoned with cinnamon, but they were baked, not fried, so there’s a feel-good parenting moment about letting your kids eat french fries. We all three agreed that the chicken tenders were some of the best in Memphis. They were a great addition to the Acre salad to make it a little more substantial. It obvious that the folks at Belly Acres have put a lot of thought into their craft, and they’ve done a heck of a job. Their food is excellent. The service was superb. The atmosphere was casual and fun They also sell beer and wine, so Mom and Dad can have a little extra treat while taking the family out to dinner. We thoroughly enjoyed it, and its going to become a regular stop for our gang. 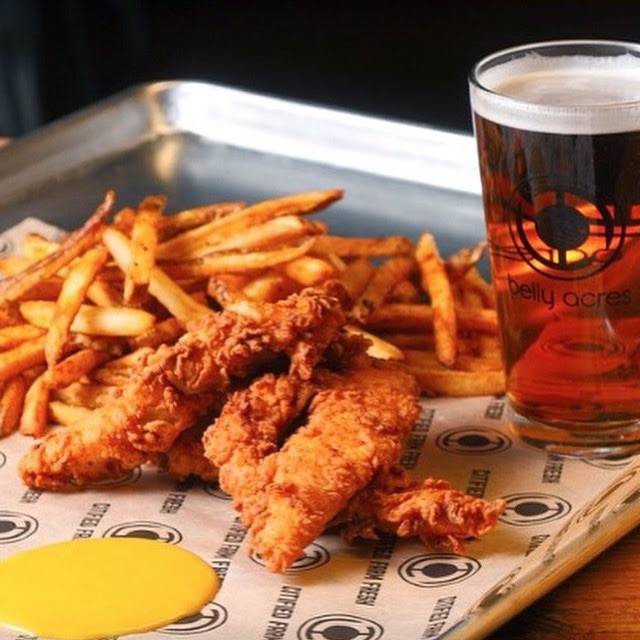 Local’s Choice: If you’re a chicken tender connoisseur these are in the same ball park as Gus’s but milder with less of a kick. The Southern Gentleman was a excellent. I’m looking forward to going back and trying their other excellent options. 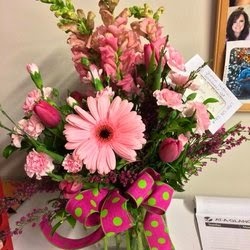 Rachel’s Flowers and Gifts – Since we have all girls, my Valentine’s list has grown for who gets flowers on the 14th of Feb. I’ve used another high end florist in Memphis who does an excellent job for years. However, I was looking for a change to someone who did excellent work, but was a little easier on the wallet. La Famiglia came through again with recommending Rachel’s. I ordered a dozen red roses for Mama that were beautiful and a single rosebud for the Little Bit that that was adorned with baby’s breath, and a sparkle heart. Needless to say, the sparkle heart was winner. The delivery man showed up on the Morning of Valentine’s day driving a red van and wearing a red tux. With a big smile he gave my girls their roses and wished them a happy Valentine’s Day. Win! The flowers are pretty and have opened up nicely. I would definitely recommend them to anyone else to use. Gus’s Fried Chicken – THE BEST FRIED CHICKEN IN THE WORLD. 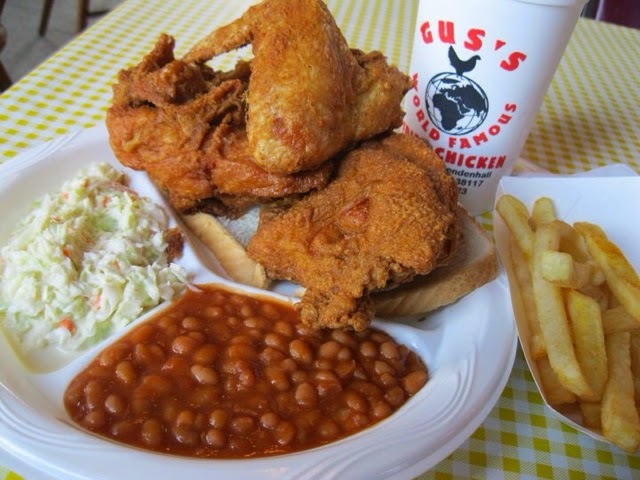 Local’s order: Fried Chicken. Beans Fries. Slaw. Lots of Cold Sweet Tea. CAUTION: It’s put In the fryer when you order it. Since it’s served at a temperature that’s slightly cooler than the surface of the Sun, be careful. Otherwise the first bite will sear the lining of your mouth, preventing further chicken enjoyment. 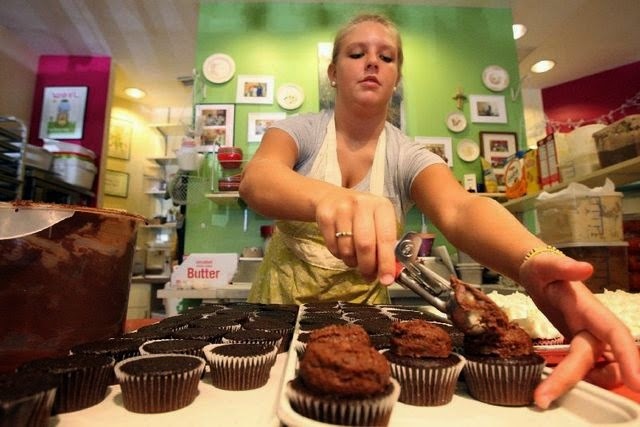 Muddy’s Bake Shop – several years ago, local girl Kat Gordon was out of school and decided to collect her grandmother’s (Muddy) cake recipes and have a go at the world. She makes excellent cakes, cupcakes, cookies and pies that are now a staple of the East Memphis Sweet Tooth. With creative names like Grasshopper (chocolate mint), Frankly Scarlet (red velvet) and Prozac (chocolate + chocolate). 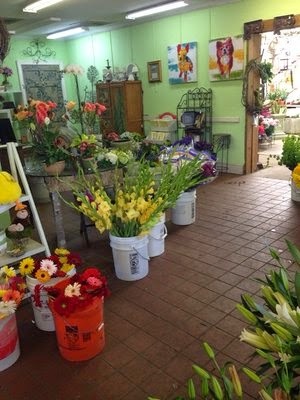 Muddy’s is more than a bakery. Its become a local cultural hub. For all the sugar that goes out the doors on pickup, they have cafe tables and outside patio reminiscent of a European street cafe. With a book club and their support for local community development, their support runs deep too. Some ill-advised troll falsely accused them for picking sides in an overblown political issue, social media roiled with support for Kat and her business causing a groundswell of new customers. Local’s Choice: Grasshopper Cupcake – pinch off half of the cake bottom and flip it over to place it on the top, now you have a gourmet Oreo. Level Up.